“This is all about getting priorities right in a life-threatening situation – people dying from loss of blood is tragic, but what’s more heartbreaking is people not knowing how to save them. “And Kiwi lives are lost every year simply because people are unaware of what to do to stop the bleed for long enough to save a person’s life. It follows in the footsteps of other successful initiatives in the US and Australia, where training programmes exist, including how to use a high quality tourniquet, a band placed around a limb that is tightened to control bleeding by stopping blood flow to a wound. “If someone severs an artery the fastest ambulance or helicopter isn’t always going to get there in time to save their life – however, anyone can help save that person’s life and nine times out of ten it will be someone you know, a colleague, friend or loved one. “We don’t have New Zealand stats but international ones show that up to 20% of people who have died from injuries could have survived with quick bleeding control1 and unfortunately every year we see deaths that were preventable had people stopped the external bleeding. “In a nutshell, the key is putting full body-weight pressure on the wound to stem the blood flow and doing this for as long as possible – that’s why we say “Push Hard, Don’t Stop”. 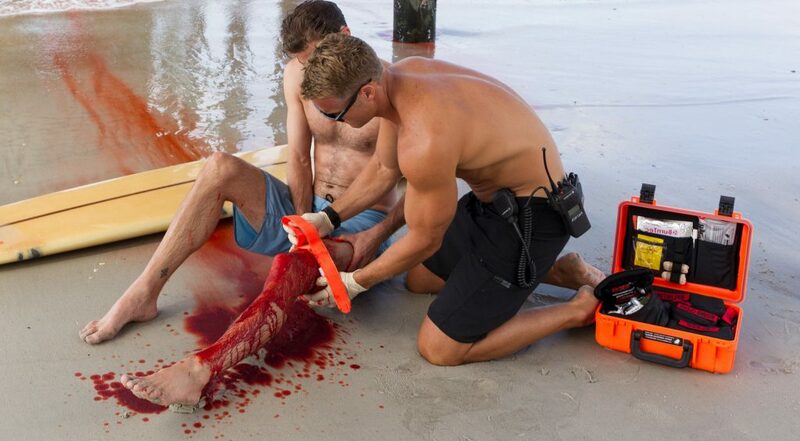 Pharmaco Emergency Care is New Zealand’s leading supplier of high quality haemorrhage control products, including tourniquets, to all New Zealand emergency services: St John and Wellington Free Ambulance, New Zealand Police, Fire and Emergency, and New Zealand’s network of rescue helicopters.